I knitted a simple hat for myself today. 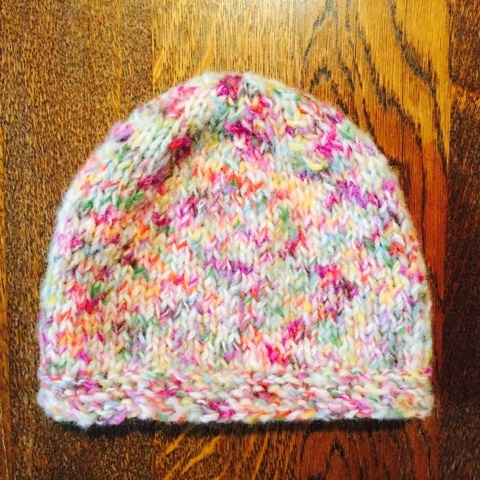 It was so fun to knit the hat. I plan to make white one too. I knitted using 8mm needles. It's enough to buy 100g for knitting hat.